Find out why this the best accountancy software for you. Developers often refer to Xero as the ‘beautiful accounting software’ and rightly so as it is one of the market’s preferred collaboration apps and is listed high up on the list of leads within the accountancy groupings. Many interesting comments have been made about the value that Xero can bring to a business. From sole proprietors to companies, all have stated how they like the way that Xero provides all the functions that they need all with user experience at the forefront. Xero transforms some of the most complex and standardized financial concepts into a pleasant journey, and even those with little or no accounting knowledge can utilize it. The question is though, is Xero accounting software really as usable and friendly as it claims to be and more importantly is it suited to you and YOUR business? Well, to help you make up your mind, I have reviewed what exactly Xero has to offer and have also included who it is suited to. So, if you’re ready, get comfortable, grab a cuppa and let’s get on with it!! We’ll put Xero through our rigorous testing and will look at the following aspects. How does Xero perform and what features do they offer to help create the perfect accounting solution? 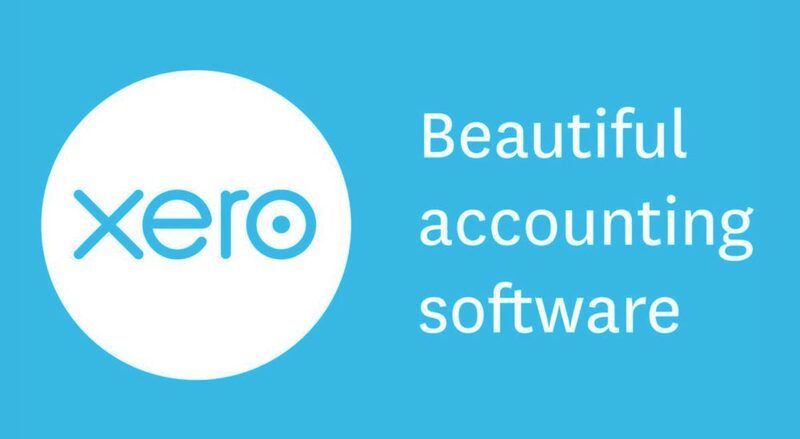 Does Xero offer everything necessary that users expect from an accountancy solution? Does Xero offer quick customer support solutions and help, and can users count on them when it matters most? Does Xero offer the best pricing in the marketplace? And more importantly, what deals are available that can help users save money? Xero is packed full of time-saving features by way of automating processes. In addition to its standard accounting capabilities, it also offers invoicing, bank reconciliations, purchase orders, inventory, and mobile access and is great for Mac users. Xero offers five scalable pricing plans together with a free 30-day trial. Xero is incredibly easy to use, even those with no accounting knowledge will find it easy to manage, and it transforms some of the most complex and standardized financial concepts into a pleasant journey. Is Xero the right accountancy software for you? 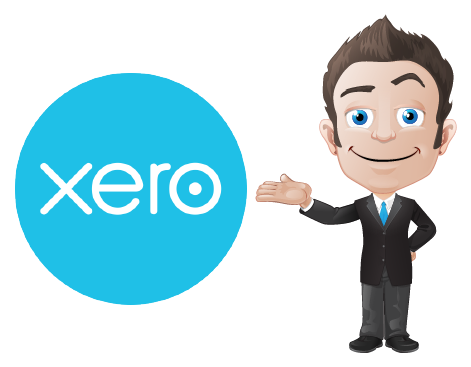 Xero was established in 2006 and is a web-based accounting system designed for both small and growing businesses. What Xero does, is connects small businesses with their trusted advisors as well as provide business owners with an immediate overview of their financial position. Xero is a web-based solution and is easily accessible via any devices that have an internet connection. Xero has robust accounting features which mean that small businesses can view their transactions, cash flows and account details from any location, quickly and easily. Bank transactions are automatically coded and imported, and with their online bill pay feature, businesses can keep on top of spending and up to date with any bills that are due. Personal expenses can also be managed with Xero using mobile review and approval of each receipt. The software also offers unlimited user support together with integration amongst several systems including Bill.com, Vend, and ADP. Xero accounting software comes with a 30-day free trial so that users can test the product and feature evaluation. 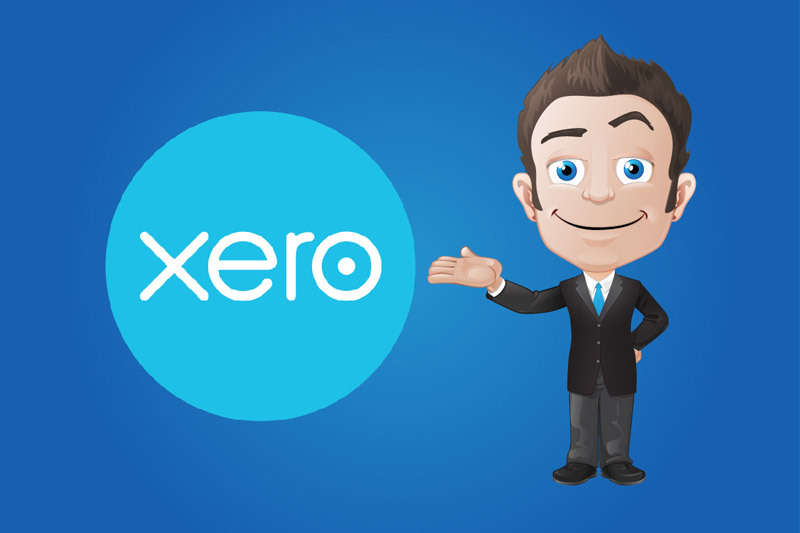 The great thing about Xero is that because it is a web-based solution it can be accessed from any device that has an active internet connection. Because of its robust accounting features, Xero allows small businesses to view their account details and transactions as well as their cash flows, whenever and wherever they may be. All bank transactions are coded and imported automatically, and by using online bill tracking, users can keep on top of their spending as well as any bills that are due. Xero also offers integrations with a variety of systems which include Bill.com, Vend, and ADP as well as unlimited user support. But, let’s get down to the nitty-gritty. Let’s have a look in detail at what features make this accountancy software stand out from the rest. Are you ready? Good, then let’s begin…. Xero does include a rather robust selection of features – for which it is often praised. So, for the purpose of this review and to make things easier, I have listed the features together with a brief description, to help you make up your mind. The dashboard is fully customizable and includes a user interface which is aesthetically pleasing along with graphs that display any invoices owing, the user’s bank accounts, expense claims, bills that need to be paid along with other graphs regarding the businesses performance. 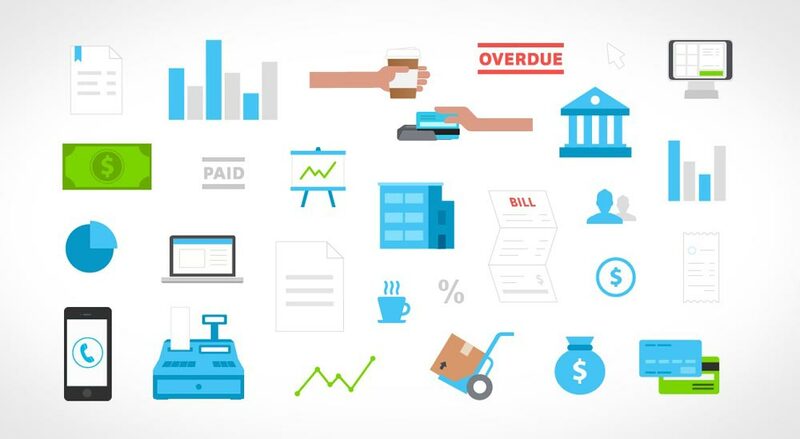 Xero accounting software includes several necessities which are real time savers, including automatic invoice reminders, recurring and bulk invoices, default payment settings as well as previous invoice replication. Now, I must admit that when I first read about this option, I was rather excited – until I saw it. 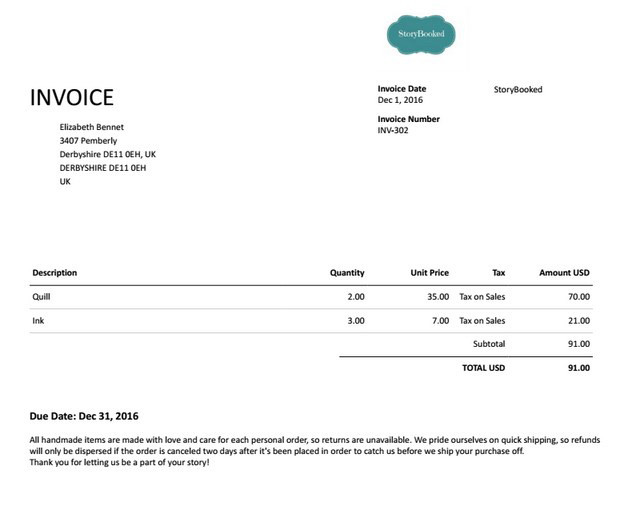 The problem was that Xero only has one single invoice template. There is the option for users to design and upload their own templates, but in all honesty, I was expecting more. Don’t get me wrong, the feature does the job, but it would be nice to see Xero improve and increase their template design. 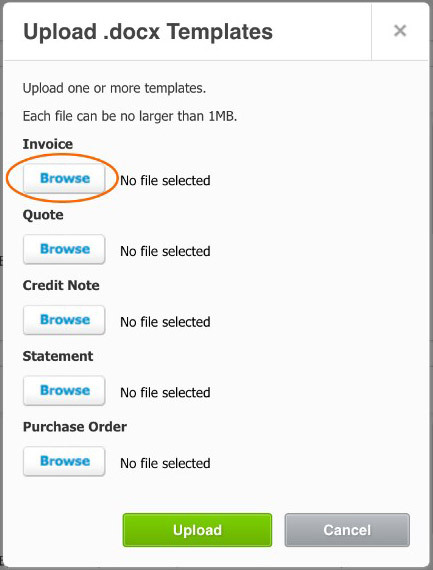 Payment gateways are available for invoices and customers can receive invoices and estimates via pdf attachments. Xero’s estimates feature does get the job done, but it is basic and only provides one estimate template. Default terms and conditions can easily be programmed in, and estimates are quickly converted into invoices. Now, this is where Xero shines. It includes some of THE best contact management features that I have seen. Naturally, users can add the standard basic contact information which includes sales tax and a default discount for customers. Xero takes things one step further via smart lists and contact groups!! What smart lists do is act in the same way as marketing tools and allow the user to target a specific group of contacts. These could include creating a loyal customer list or listing customers in a particular order to offer promotional deals. These lists can also be used to invoice entire groups at the same time. How neat is that, eh? The creation of invoices is very similar to adding bills. Purchase orders and recurring bills can easily be created as can batch payments. Now, this is where Xero is really cool. Its smart categorization remembers any past transaction categories that have been used, then categorizes new transactions automatically. The strong bank rules feature means that it is a breeze to split transactions and payments when necessary. There is a minor downside which is that to approve any transaction, it must be individually clicked on. 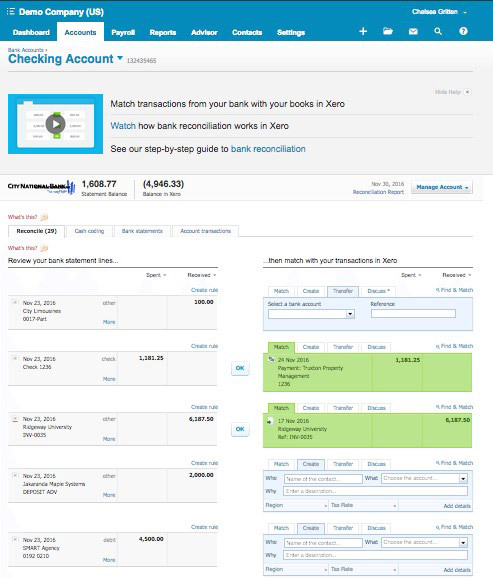 Bank statements can either be manually imported (remember to connect to the bank account first), and live bank feeds created. Xero creates a default chart of accounts automatically for its users which are based on the industry type and organization. The default accounts are fully customizable, or users have the option of importing their own account charts. Users are also able to run depreciation or create fixed asset accounts. The following information can be stored with items, including price, item code, tax rate, account, and image. There is an option to ‘track inventory’ which records average purchase costs, stock levels as well as the number of items that have been committed to quotes. Xero doesn’t allow tracked items to go negative and there aren’t any email reminders to alert to low stock. Xero payroll is only available in the UK, New Zealand, and Australia as well as 37 YS states (keep in mind though, that only seven of the states have electronic tax payment and filing options). Customers love the payroll feature as it is extensive but easy to use. 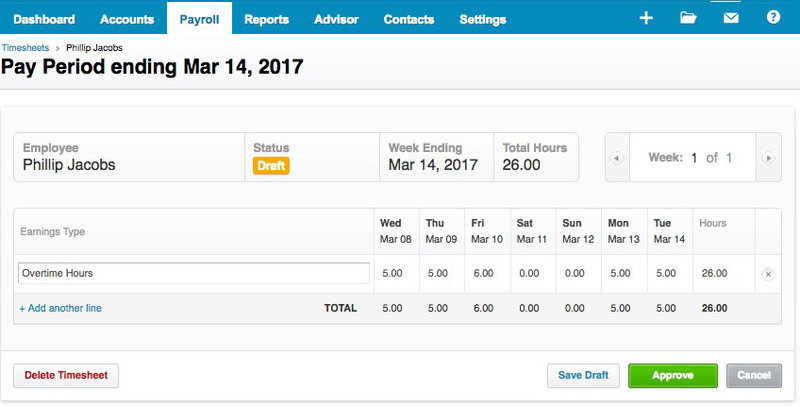 Pay schedules can be customized, and users are able to keep track of deductions, benefits, bonuses, sick days, overtime, employee earnings, time-off requests and paid holidays – all from one place. Xero offers its users 65 reports (with 20 being specific to payroll). Everything is included from detailed budgets, depreciation schedules, aged payables, and basic balance sheets. Those who are looking for a statement for profits and losses – stop looking now, as you won’t find one, what you will find is an income statement report which displays similar information. Again, all reports are fully customizable and are able to run across various time periods. Favorite reports can be ‘starred’ for quick access, and journal entries can also be included. These are everywhere and can be set for just about anything – I found this to be a huge time saver. 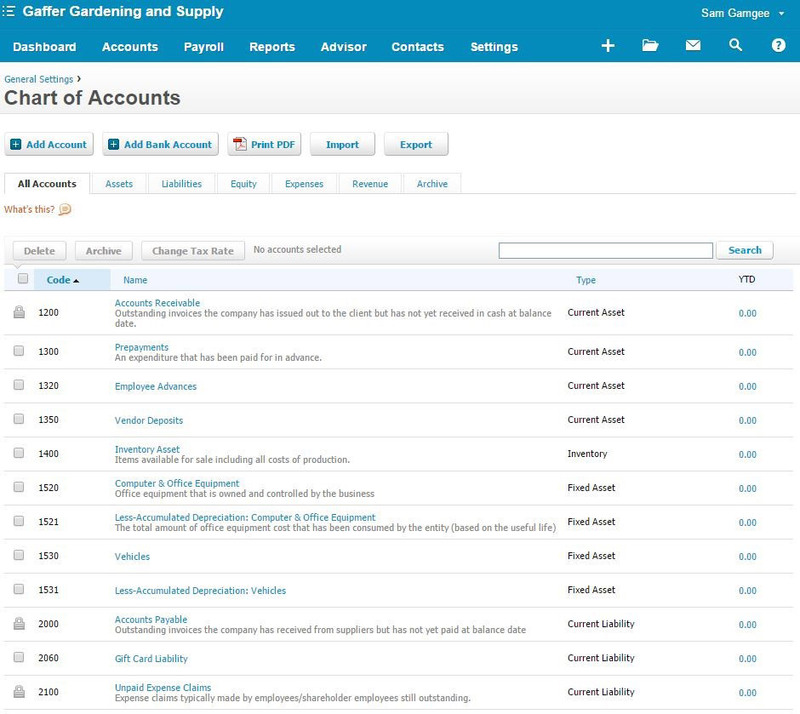 With Xero accounting software, users can set up two tracking categories with each category housing 100 options. What these categories are is basically a way of organizing the information. Xero enables users and their employees to file expense claims and admin has the capability to approve and view all the claims which are more advanced than some of its competitors which normally only allow the deduction of mileage. A recent update saw Xero accounting software include the ability to print and customize cheques directly from the account. Xero allows users to fill out 1099s and W2s while keeping all of the tax information together. Users can set the default sales tax for sales, customers, and purchases. Combined and compound taxes are also supported. With Xero, users can easily differentiate between exclusive and inclusive tax, and because it is partnered with Avalara, it can calculate sales tax automatically simply by an address. Over 160 currencies are supported by Xero and are hourly updated. So, there we have it, Xero accounting software really does offer a robust selection of features, more than enough to cover most accountancy aspects of any business. Well, I’ll begin by being totally honest, I expected Xero accounting software to be much easier and simpler to navigate. Now, don’t get me wrong, it is far easier than learning the complexities of, for example, QuickBooks and the learning curve is definitely not as steep, but I don’t really believe that it is any more intuitive than, for example, QuickBooks online. What I did like though, was the user interface (and not just because my favorite color is blue – well maybe 😊). Xero also has a FREE comprehensive guide entitled ‘How to Set Up Your Xero Account’ which teaches users how to optimize and use their account, which is really useful. The set-up process was fairly straightforward but was rather time-consuming. Most of the time was spent importing bank statements, contacts, items, etc. Xero creates pre-set chart accounts, based on the company information that the user has provided. Nothing will be overlooked during set-up as Xero’s dashboard prompts the various set-up tasks. I found it best to begin by setting the default preferences and necessary automatizations first. Also, prior to importing or sending transactions, I recommend creating a list of items then making any adjustments to the chart of accounts as is necessary. Overall, Xero’s organization is very good, but I felt that it could be more intuitive. When I started using Xero, more often than not, I thought to myself, ‘there must be more, this can’t be it.’ Discovering the basic features is easy but finding the more in-depth ones is difficult, to begin with. Of course, once one is used to the software, navigating becomes a breeze. 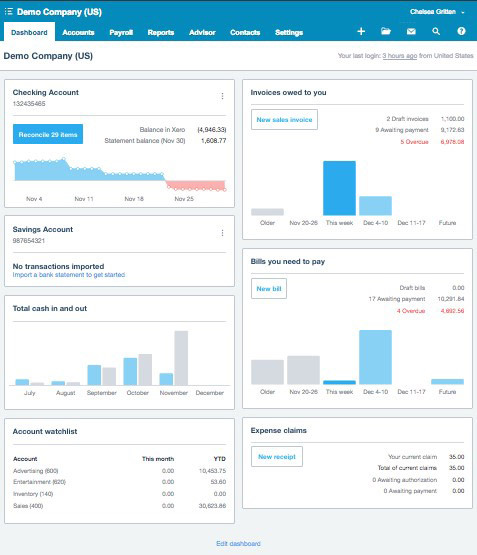 The dashboard is where users can catch a quick glimpse of the financial state of their company. Across the top of the screen is a toolbar which has various tabs such as dashboard, payroll, accounts, settings, and contacts. For a quick shortcut to add bills, purchase orders, quotes, invoices and basically anything else, click on the + button in the right-hand corner. There are also buttons for notifications, help, search and document storage. Xero’s learning curve was pretty minor, and I certainly didn’t have any major problems with the software. I did though, have a few issues regarding several features – or rather the lack of them. As I said earlier on in this review, Xero accounting software offers superb invoicing features but offers only ONE invoicing template!! Customization is rather limited, although a user can add their logo and there is also the option to design and upload a bespoke template. I would be very happy if Xero offered more customizations – or even better more templates. They could even go as far as offering Client Portals like FreshBooks and Zoho do. Importing CSV’s – this was the bane of my life and was the reason why set-up took so long. To import .csv files to Xero, users have to download Xero’s bespoke invoice formats then reconfigure their files to fit Xero’s templates. I felt that this entire process could be more streamlined and easier. The real deal breaker though, for some small businesses could be the lack of a task/project feature. That said, there are loads of integrations that can easily rectify this issue, but it would be a very nice addition to the feature set of Xero accounting software and is something which most of its competitors offer in some way, shape or form. Xero has a small learning curve and most of the time is really easy to use, so much so that even those with no accounting knowledge will find it easy to manage. The set-up process does take up a fair chunk of time though, as most of it is spent importing previous bank statements, items and contacts, etc. Every accounting software has different usability factors. What matters though, is what is important to the user and their business. To ensure that the correct software is chosen, there are several considerations that should be looked at, including: Multi-user access – including who can access what, multiple business support- if more than one business is owned, accounting software that supports small businesses all under one account (with no additional cost) will be preferable and finally cloud-based and mobile access – most accounting software nowadays is cloud-based which means that users can access their accounts anytime, anywhere, provided they have internet access. In this section, we will look at what accessibility features Xero accounting software has to offer. Well, I must say that Xero accounting software has some really extensive user permissions – probably the most I have seen to date. As illustrated in the image below, there are five, that’s right, FIVE permission levels. In this digital world in which we live in, being mobile and having mobile access is extremely important. Xero’s cloud-based software does have a mobile app, but unfortunately, the reports haven’t been too favorable. Users are not impressed with the app’s functionality – when compared with the desktop version and want to be able to convert quotes to invoices, view their bank balance and send quotes. There have also been numerous reports of the mobile software being ‘buggy’ and crashing. Think a little improvement is needed here Xero!! 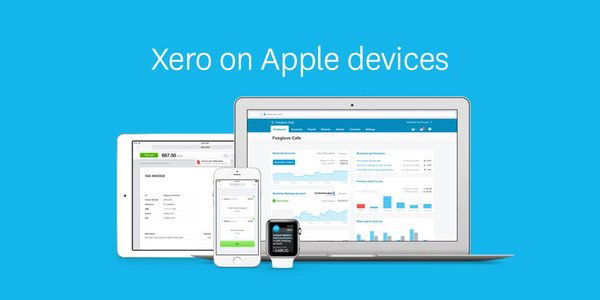 Now on a brighter note, Xero accounting software is THE BEST accounting software for Mac users. Why? Well, because it is accessible from any device or computer with a browser and is cloud-based. All this means that Mac users will not experience any usability or feature loss. The mobile app is also perfect for Mac users because it works on iPads, Apple Watches, and iPhones. All of Xero’s plans are packed full of features and enable unlimited numbers of users to the software, plus payroll is included within the top two plans, which is the cherry on the cake. Xero accounting software offers superb and extensive user permissions and is accessed via a web browser and supports unlimited users - unlike some of its competitors. The cloud-based software does offer mobile apps, but users have reported that the functionality could be improved, especially when compared with the desktop version. 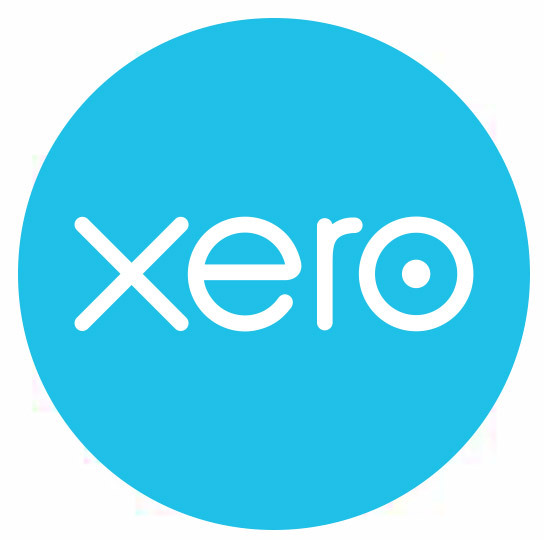 Those using a Mac, need not look any further than Xero, as it is the perfect match. I love starting with good news, and so I’ll begin this section by saying that Xero has over 500 integrations. WOW!! AND if this wasn’t enough, it also integrates with Zapier which can then connect the software to a whole shed load of extra add-ons. Also, keep in mind that some of the integrations can be country-specific, so before making any purchases or additions, its best to check that out. Stripe – A payment platform for both mobile and web payments. PayPal – This enables electronic payment of invoices and allows users to accept online payments. Insightly CRM- FREE contact management and project software. Shopify – An eCommerce platform for stores that are online. Receipt Bank – Makes for easy data receipt entry. Vend – A retail management tool and web-based POS system. WorkflowMax – This is owned by Xero and is a much-needed tool for project management. Well, integrations and add-ons are no problem for Xero, as it offers such a fantastic selection – it almost makes up for the lack of job-costing and project features (I did say almost…), so users will have no problem finding any features that they may need. One thing that I consider to be really important when testing and reviewing different types of software is what help and support are available and what shape and form it comes in. After all, we’re all human and need help at some time or another, and I want to know that when (not if!!) I need it, that it isn’t too far away. Xero has some of the best customer support and service that I have seen. It offers 24/7 customer service (which I love) BUT (and this is the bad news!!) no phone support. HOWEVER, before you condemn this software, the fact that Xero offers so many other support options means that, well quite honestly, having no phone support really doesn’t matter. Primarily, Xero operates on email support. It does state that response times are within 24 hours, but talking from experience, the response time was much quicker – I mean the longest I had to wait was 60 minutes – pretty nifty really. What I liked, was that the responses are direct and friendly – albeit a bit short. That said, everything I needed was included, and I didn’t have to ask for any more information. Live Chat – This feature is available directly on Xero’s website. It is great for sales inquiries. 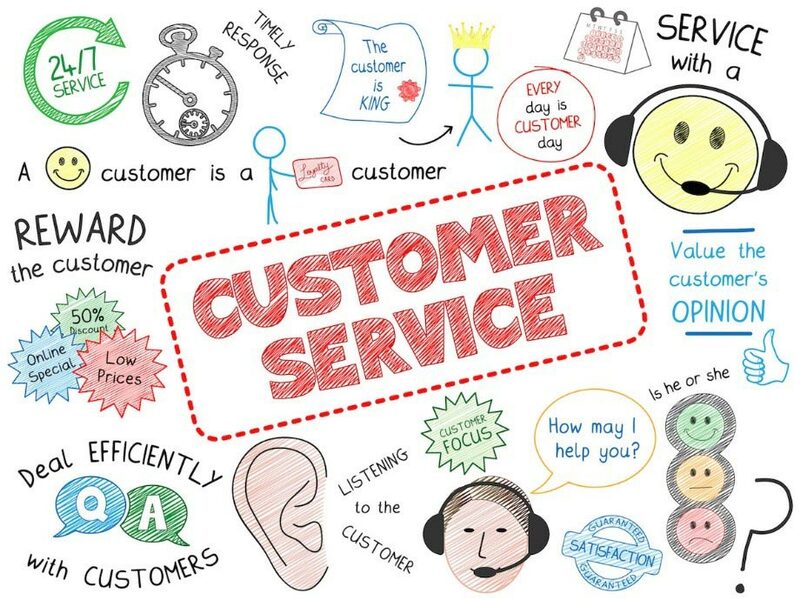 The representatives are helpful with questions regarding features, and if they aren’t sure, they will point users in the direction of someone who does. Email – Users can quickly and easily contact Xero via email regarding any questions they may have. Help Centre – Xero includes a very comprehensive Help Centre which includes common troubleshooting issues regarding each feature and how-to articles, which are really useful. In-Software Help Button – This button is a real-life saver plus the search bar pulls up relevant videos and articles. If users are still unable to find what they are looking for, then representatives can be directly messaged from inside Xero. There is also the capability to allow Xero customer service agents to have access to the account on a ‘read-only’ basis so that they can offer even better assistance. Guides – Good news for those that love guides, as Xero has loads. There is a range of different types from business-type guides, small business guides as well as an accounting glossary – which are all helpful and informative. Community Forum- This little beauty is a forum where users are able to answer each other’s questions, while at the same time learn how other businesses are using Xero. It also includes a section of any update suggestions and users can vote for the various ones with Xero claiming that they do actually listen to them. Podcasts – So, if you think over 700 videos aren’t sufficient, then take a look at Xero podcasts. They feature CEO talks and digital marketing strategy advice. Xero TV – This is where hundreds of well-categorized videos are stored. I, however, found it much easier to find them on YouTube!! Xero U – This is a training programme which is offered by the company and includes occasional events together with online courses. Account Messaging – This allows users to send questions and messages from their account directly from the software. Social Media – Xero has Twitter, Facebook, and LinkedIn accounts, although it must be said that they aren’t very active. Blog – Basically, the Xero blog is a fully-fledged business newspaper which includes ideas for success, advice articles, and business news. When first using Xero accounting software, instructions together with in-software videos pop up, whenever software feature is opened for the first time – which I thought was a pretty neat feature. Xero offers superb and varied help tools. The customer service is spot on, and the in-app search button basically answered every question I had – it really is a pretty amazing feature. Who doesn’t like getting a ‘little extra,’ whenever they’re buying something – I know I do, it just makes life that little bit sweeter. Because Xero is cloud-based software, it means that it is compatible with any devices that have internet access and that use one of the following browsers: Internet Explorer 11, Google Chrome, Mozilla Firefox, Microsoft Edge or Safari 8+ and offers an accounting app for iOS (9+) and Androids. 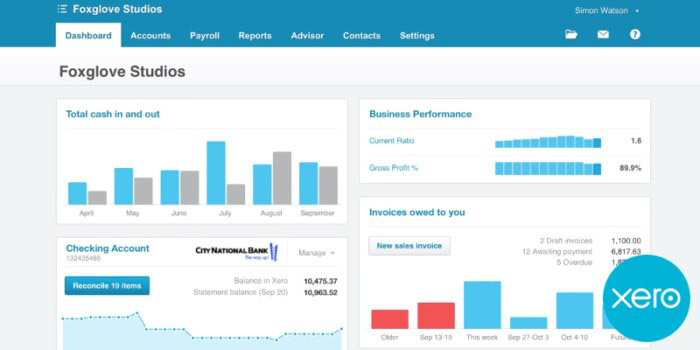 If that wasn’t enough, it also includes Xero Me which is a payroll app for admin and employees. It protects data with encryption of a bank-grade and to make log-in more secure; users can opt for two factor authentications as well as user permissions, which means that data that employees can access is able to be controlled. Because Xero connects to credit card accounts and banks, it is able to import data on a daily basis. Xero’s online support resources are varied and helpful and include a knowledge base which includes step-by-step videos and guides, podcasts, Xero U, Xero TV, and a blog. For an extra fee, Xero can support several businesses with a discount being available for multiple subscriptions. Xero accounting software offers several ‘extra features’ all of which make the Xero experience much richer than it already is. Of course, Xero isn’t going to be the right accountancy software for everyone, so let’s try to get down to who precisely this tool is going to be suitable for. Although Xero offers five scalable plans, it probably isn’t the best choice for those on a budget, as compared with other software within the same price range, it offers less, but at the same price. Xero was designed for small businesses, but that’s not to say that it is the most suitable for them. The smallest plan only offers five invoices and twenty transactions for users, which, compared with other, more extensive accountancy software, in the same price range does render it a rather limited. Xero is unsurpassed in its options for businesses that are medium to large in size (or basically any company that needs payroll). Users are unlimited, yep, let me just repeat that again, UNLIMITED something which, in the world of accountancy software is almost unheard-of PLUS its users’ permissions are some of the most extensive that I’ve seen so far. It supports inventory, payroll, multiple companies, and tracking – perfect. Well, that’s it I’m now nearing towards the end of this review, and I hope that it has given you an overall idea what Xero accounting software has to offer. I’m guessing though that the final and most important question is – Is Xero THE ONE, I mean for YOU and your business? Well, having considered its solid customer service and strong feature set, it is no wonder that Xero is, in the accounting software world, a leading contender. I really was blown away by the level of technical support that is offered by this company. I mean, features such as bulk invoicing, inventory tracking, strong permissions settings and of course unlimited users – not even touching on the hundreds of time-saving touches such as default emails and hundreds of integrations – really make this software a brilliant match for lots of businesses and ahead of most of the competition. Do you know what I find most impressive though? Its Xero’s age. At a young ten years old (give or take a few years), it has given the older contenders a run for their money. I do feel though, that at the moment, Xero is still following in QuickBooks Pro’s footsteps, by offering no project management or job costing features, limited invoicing choices, incomplete payroll support, and weak mobile apps. Also, for smaller businesses, the price could seem a little steep, compared to its competitors. But, I believe, that if Xero continues to update their software as quickly as they are doing, then I’m certain that it will steam ahead of QuickBooks and take command of the best accounting software trophy. Why not give Xero’s 30-day FREE trial a bash and see if it is the perfect match for you? 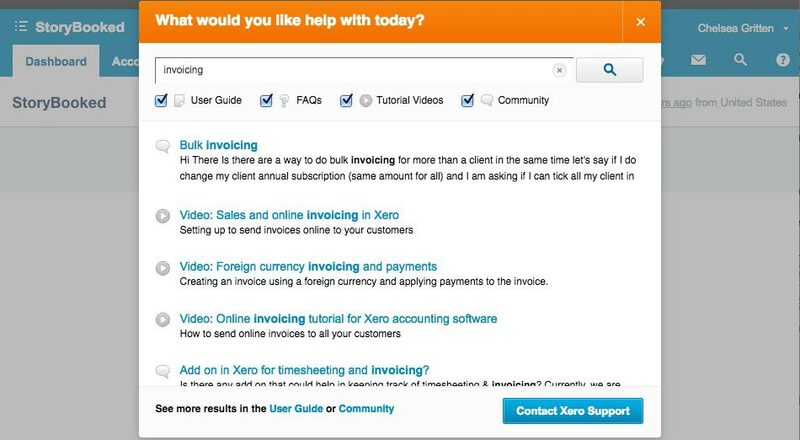 Are you still unsure whether Xero is the accounting software for you? Maybe you have used Xero before and would like to leave a comment or maybe you would like to check out our other accountancy software reviews such as Quickbooks and Sage 50 ?